During the 1600’s the first African people were brought to North America and sent to work as slaves. Their customs and traditions were taken away from them and any musical instruments they had were confiscated on their arrival. The first slaves were sold to work on the tobacco plantations in Jamestown, Virginia. The economy began to thrive over the coming years and by the 1680’s slaves were imported to many English colonies on the east coast. There were many years of terrible suffering and fear ahead for the enslaved African people. The owners and masters would push their Christian faith on to them and demand that they attend churches and religious ceremonies. They felt they had no choice but to comply for fear of punishment and learnt the hymns and psalms. 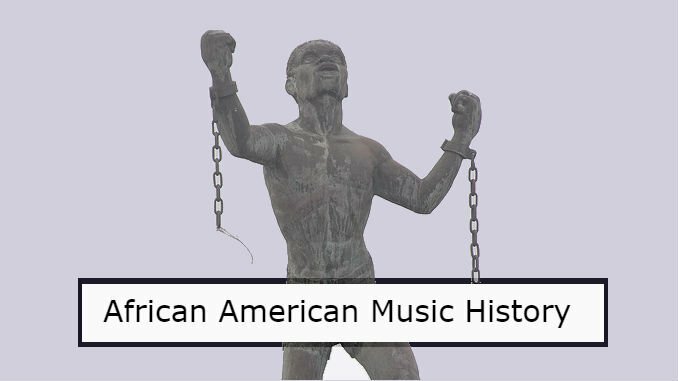 The slaves lived with a longing wish to return to their homeland and were deeply saddened with their disconnection to their own rich and varied musical forms. With this longing feeling burning inside, they would discover how to adapt the Christian songs to the form and structure of their own traditional songs that they had to leave behind. These new songs were known as Spirituals and meeting in secret groups, they would be sung and danced to. They would also take part in ring shouts – where the group would dance around in a circle singing and chanting, which often ended up in a frenzy of speaking in tongues. As well as these secret meetings, they would also improvise basic versions of their native instruments, including the ‘diddley-bow’ where a wire was attached to the side of a building with a nail and under the pressure, pieces of metal and glass were slid up and down the wire to form musical sounds – which, in the years to come would influence guitarists as bottleneck slide playing. Basic Banjo type instruments were also crafted and were inspired by traditional west African stringed instruments such as the Gonje. They used their bodies as rhythmic instruments too, slapping their legs, stamping feet and clapping hands, to add a basic accompaniment to their singing. When hymn books were not available, the words of the songs were made up, reflecting the hardships and sadness of being held captive. These would often be sung in a way that included bending some of the notes in and out of pitch, these notes were known as ‘blue notes’ which later would form the key ingredient to blues music. The spirituals were sung to give hope and it was the general feeling that they were Gods chosen people and would be rewarded in heaven. Work Music – Back in the fields, mills, factories and farms, working and singing went hand in hand. It was often encouraged by the masters and owners as it would aid productivity. It helped to give the workers a distraction from the dull, repetitive jobs and the music would often be sung in time to the task at hand. Field Hollers – Were also sung and would use a more flowing way of singing, by telling short stories of their struggles and hardships in the words. One musical verse would be repeated over and over again singing about the work. The hollering part of these songs sounded similar to yodelling and was influenced by rural tribes in Africa. Call and Response – This was a singing technique where one person would sing a line and the group of workers would then repeat the line just sung. This work music was a way for the slaves to have a voice and gave them hope. The creative singing together formed a feeling of togetherness. It was their way of speaking out against their captors and its form and attitude towards their oppressors would later re-appear as the rebel anti-establishment mentality within ‘Rock and Roll’ music. By the 1680’s, slaves were seen as a vital commodity for the rapidly growing local economies throughout the country – they became part of society although were the least respected. The popularity of theatre and minstrel shows grew, where these African Americans were seen as quirky, badly behaved characters. 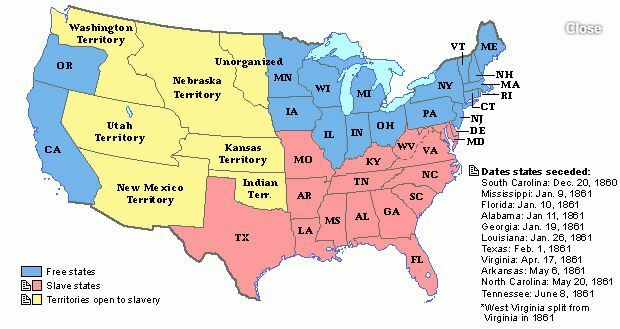 As the years went by, tensions started to emerge between the Northern and Southern states, as a result of the long standing controversy over slavery. This peaked in 1861 with the start of the Civil War. The fighting continued until 1865, when President Abraham Lincoln declared the abolition of slavery with the 13th amendment. Two further expansion amendments were declared. In 1868, African Americans were guaranteed citizenship rights and in 1870, the right to vote could not be denied based on race. With freedom came a new hope for the African American people as they started building their own lives, travelling far and wide in search of work and better times. 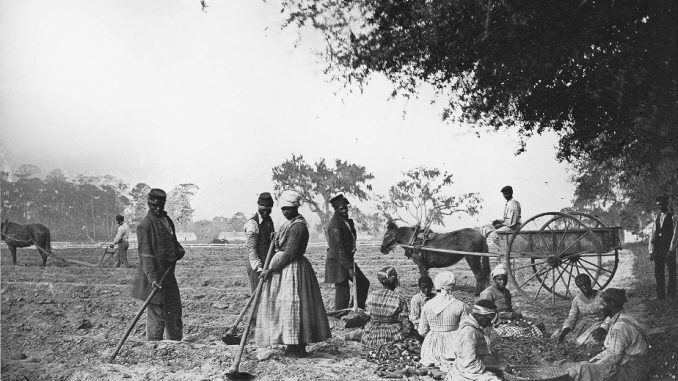 Just as their pain and struggling during slavery was sung of in the spirituals and work songs, new issues now fell upon them – finding partners, lack of money and resources, travelling the country and finding a new place to call home to name but a few. These daily issues were sung in the first person adjective in a non-religious adaptation of their previous spiritual music. A 12 bar chord sequence was used, with accompaniment now played on instruments such as harmonica, banjo and guitar. 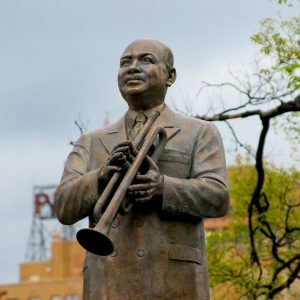 With the use of the ‘blue notes’ a new sound emerged and around 1870, the first ‘blues’ songs were beginning to be heard in the Mississippi delta region. Elsewhere, many people in the African American communities began playing and improvising with the ‘blues’ sound. 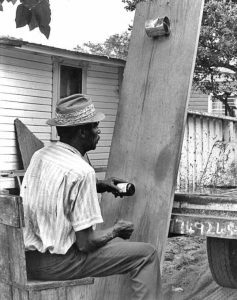 Even some of the poorest people formed bands and showed creativeness by fashioning instruments from household items such as washboards, spoons, bottles, wooden boxes and oil cans. Fiddle players often joined the bands which played with in a style more upbeat than the rural blues form. This made for great dancing music and along with drinking, it helped men with the seducing of women in dance halls. A call and response element was also included in the music, where the singer would sing a line but instead of a group of workers replying, the melody of the instrument spoke in its place. 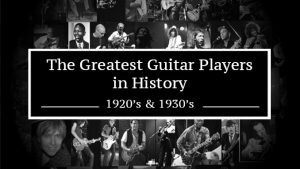 The blues sound evolved as a sophisticated, expressive form of music and its popularity surged with ‘songsters’ – travelling musicians who would make a living performing on the road. It was common to see them playing at medicine shows to tradesmen and members of the public and they formed part of the entertainment. By the 1900’s the blues sound had grown in popularity particularly in the South. In 1903, a trained musician and composer W.C Handy had an encounter with a poor African American musician who played a guitar using a penknife as a primitive slider on the strings. It was Handy who brought this rural form of the blues to the masses by publishing the songs he’d heard as well as writing and publishing sheet music for new pieces, allowing it to be spread across America. I hope you have enjoyed reading this post and if you have any questions or ideas for future content topics please leave a comment below.